POSTED: Wed, 12/04/2013 - 06:05 | POSTED BY: Traci C.
Walt was born on the second floor of the home on December 5, 1901. The home had been on the market for several years but no buyers were able to receive proper financing. 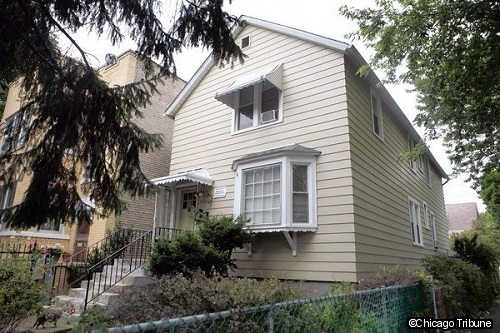 Back in 1991 the Commission on Chicago Landmarks proposed the home be given landmark status, but after a long review process the Committee on Historical Preservation voted down the proposal. At today's groundbreaking event students from William Nixon Elementary School will sing Happy Birthday to Walt and will unveil a special banner they created. A birthday cake designed by Chicago's TipsyCake will be served. Once the home is restored it will serve as a historical site, museum, and community resource with the mission of enhancing and exploring childhood creativity. I am *SO* excited about this! I hope to be able to go to the ribbon cutting when they open up.